Cruise along Australia's Southern Coast. There are more cruises to other portions of Australia, but the South has its attractions. Cruises might visit Kangaroo Island, Adelaide, or Portland. 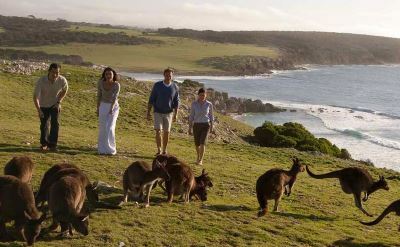 Kangaroo Island is Australia's third largest island, just off the coast from Adelaide. But its isolation makes it a haven for native marsupials that thrive free of competition from rabbits and foxes. Wildlife that you may see include Australian sea lions, penguins, koala bears, pelicans, bandicoot, wallaby, platypus, and of course kangaroos. Adelaide is a relatively large city boasting a Mediterranean climate. Beautiful parks surround the city center and beaches are close. It is Australia's wine capital, so do some sampling. Explore historic Port Adelaide. Tour the Art Gallery of South Australia. Portland is located between Adelaide to the west and Melbourne to the east. Highlights include beaches, botanical gardens, and whale watching. From November to May you might see a blue whale (the largest mammal on earth). 7-day Southern Australia cruise on Princess Cruises. Round-trip from Melbourne (Australia) to Phillip Island (Australia), Port Lincoln (Australia), Kangaroo Island (Australia) and Adelaide (Australia). 14-day Southern Australia cruise on Holland America Line. Round-trip from Sydney to Eden (Australia), Melbourne (Australia), Port Arthur (Australia), Adelaide (Australia), Kangaroo Island (Australia), Portland (Australia), Phillip Island (Australia) and Burnie (Tasmania). 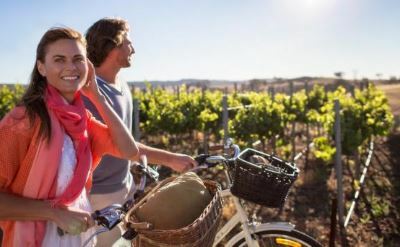 8-day Southern Australia cruise on Princess Cruises. Round-trip from Melbourne (Australia) to Hobart (Tasmania), Kangaroo Island (Australia), Port Lincoln (Australia) and Adelaide (Australia). • 2020 departure: January 23. 6-day Southern Australia cruise on Princess Cruises. One-way from Sydney (Australia) to Adelaide (Australia). Visit Hobart (Tasmania) and Melbourne (Australia). • 2020 departure: February 12. 14-day Southern Australia cruise on Seabourn. Round-trip from Sydney (Australia) to Bateman's Bay (Australia), Hobart (Tasmania), Portland (Australia), Penneshaw (Australia), Adelaide (Australia), Phillip Island (Australia), Melbourne (Australia) and Eden (Australia). 11-day Southern Australia cruise on Princess Cruises. One-way from Perth (Australia) to Sydney (Australia). Visit Albany (Australia), Port Lincoln (Australia), Adelaide (Australia), Kangaroo Island (Australia), Burnie (Tasmania) and Melbourne (Australia). • 2020 departure: March 10. 14-night Southern Australia cruise on Azamara. One-way from Perth (Australia) to Melbourne (Australia). Visit Margaret River (Australia), Albany (Australia), Esperance (Australia), Adelaide (Australia), Kangaroo Island (Australia) and Sydney (Australia). This cruise includes New Year's Eve at Sydney.